Is it Christmas yet? Oh wait… Christmas already passed. I realized that I do not have many Christmas beer reviews, so I thought I’d throw this one up on the site. I have really come to enjoy the beers by Upslope Brewing Company. There isn’t much to their logo or cans, but this one really caught my eye. The bright red, candy cane striped can really pops out on the shelf at the local beer store. Good job Upslope! Oh, and the beer isn’t that bad either! Poured into a tulip glass as recommended on BeerAdvocate, this Christmas Ale is actually a Belgian Strong Dark Ale, or according to the Upslope website, it’s a Belgian Dubbel. Whatever they want to call it, this beer is fantastic. The beer poured a clear ruby red color, topped with about a half inch eggshell colored foamy head. The head quickly reduced down to a thin layer, leaving very small amount of lacing down my glass. The aroma has a very nice mixture of scents. Malt driven with a great combo of banana, black pepper, dark fruits, plums, raisins, cherries, brown sugar, and holiday spices that remind me of a fruit cake. Very interesting aroma, indeed. The taste is right up the same alley as the aroma. The taste shows off flavor profiles of banana, black pepper, dark fruits, plums, raisins, figs, dark cherries, all mixed well with some brown sugar/molasses, and some very important holiday spices, helping this beer achieve a holiday fruit cake-like taste. The body has a medium-to-heavy thickness, with a mouthfeel that is syrupy all the way through the finish. There is a silky smooth mouth coating feeling after each sip of this beer. 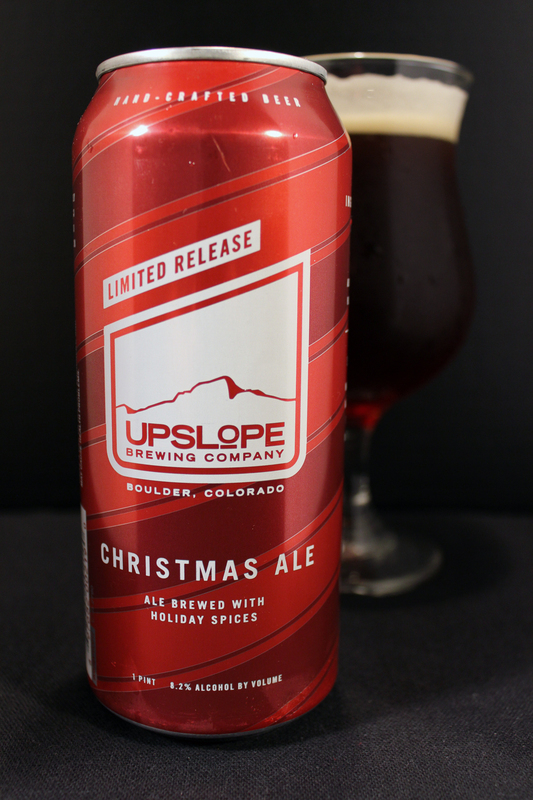 As stated before, I am really enjoying Upslope beers, and I hope they maintain this same level of quality for years to come. There are still some in their line-up that I need to try, but I would like to get them all. This is a perfect beer for this winter season. I look forward to having this beer again later this year. I hope nothing changes about this beer, down to the candy cane looking can that it comes in. By the way, yes those ratings listed above are the actual numbers shown on both pages. I just can not believe that on BeerAdvocate that this beer rates high in the good category, but rates low and poor on RateBeer. I know both sites are just any random person logging in and rating a beer, but it really makes me question the people who use these sites. Metal Connection: Without finding a nice Christmas song cover by a Metal band, I searched through several resources before I stumbled across something a little wild and different. 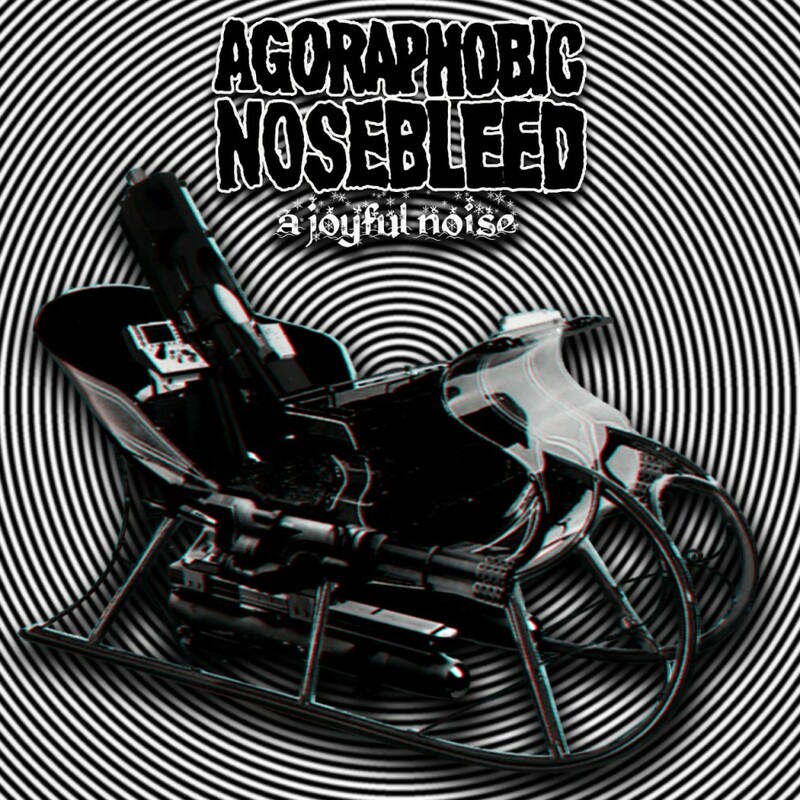 In December 2011, Agoraphobic Nosebleed out of Massachusetts, released an 11 track flexi-disc that is no longer than 5 minutes in total length. This amazing piece of Holiday cheer was named A Joyful Noise, and it was included as a bonus when purchasing then released issue #87 of Decibel Magazine. This whole disc has been put to YouTube, and here it is for you to enjoy this joyful noise!